We assemble our rebuilt and remanufactured Trane, Copeland, Carrier, Carlyle, Dunham Bush, York and Worthington compressors using only parts that meet all factory specifications to ensure quality and trouble free operation. 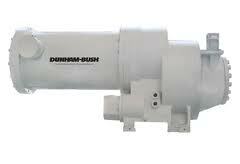 Remanufactured compressors are covered by a 1 year full replacement warranty. 5 year extended warranties are also available. We ship compressors all over the United States. Please inquire for pricing and availability.